Just in time for half term another excellent Media Magazine has been published with articles ranging from a deconstructive approach to Taylor Swift to an analysis of viral charity campaigns. I’ve been looking at media concepts in the Magazine since September and so this issue sums everything up by taking a look at Representation and Ideology… taking in some thoughts about media and identities on the way. 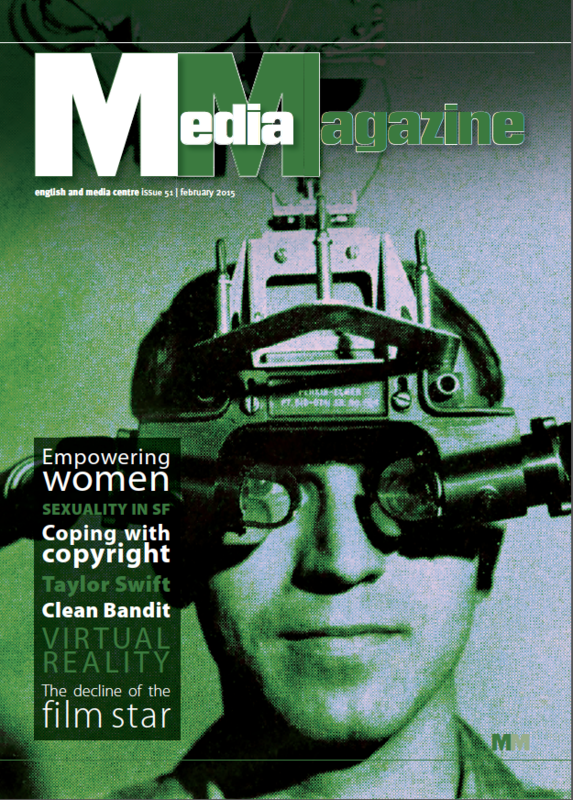 I have to recommend the article on p.30 – Virtual Dreams and Rifts in Reality – an overview of one of the new digital developments we can expect to have a major impact on audience experience and, no doubt eventually, expectations. Nice one Damien! Here’s the contents list in full. Bitter Lake is the latest documentary from Adam Curtis whose Century of the Self can be found here. Bitter Lake is a dreamlike journey to the middle east where Curtis uses a montage of images to present his thesis that Western powers have been less powerful and less proactive in their dealings with Saudi Arabia and Afghanistan than perhaps they have believed themselves to be. As ever he uses juxtaposition of images and music to create a tone poem that represents more than 40 years of international history – not as a simple linear story as the news so often does – but as a complex tale where the good guys do bad things and the bad guys enemies are often as bad if not worse than the bad guys themselves. There have been some mixed reviews for the documentary. See The Guardian, The Telegraph and Vice for a pre-broadcast interview. This is a fascinating insight into the construction of a current affairs programme. The video contains over 7 hours of footage of a recent Sky News programme where young members of the public were invited into the studio to grill the leaders of the main UK political parties. The leaders’ responses are, of course, both interesting and very important as the 2015 election gets closer. However, the video shows how programmes like this are constructed to ‘entertain’ and create ‘drama’ for the audience. The observations ‘off camera’ give a clear view of how the professionals think the Q&As are going.